Thanks to cable TV giants such as Disney, Nickelodeon and MTV, many teens grow up witnessing kids just like them starring in their own television shows and films and releasing chart-topping albums and music videos. Not everyone who pursues a career in entertainment will achieve the level of success of the stars they admire, but if your teen is considering a singing career, you can get them started on the right path. Find a vocal coach for your teen, or have him enroll in a choral or glee group at his school so that he learns how to sing with proper muscular support. 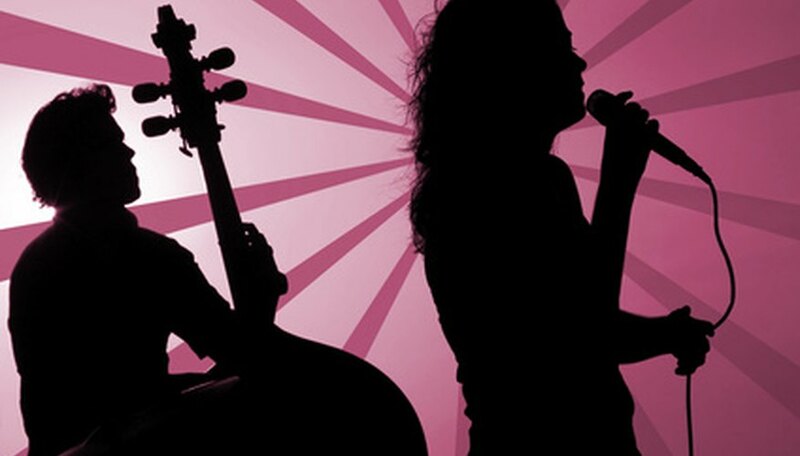 Have your teen choose the songs that she sings the best and that showcase the unique qualities of her voice. These songs will be used for future auditions. Record a demo. Demo songs are used to get a singer's voice and style heard. Demos can be recorded with a home computer, microphone and user-friendly software, or they can be laid down in a professional studio. Studio prices range from $25 per hour and up. Have your teen create accounts on social networking websites geared toward showcasing independent musicians. He can use these sites to make friends and fans, as well as get opinions on his recordings from peers. Record a video of your teen singing his best song. Post it on one of the popular video websites like YouTube, and link it to their social networking pages. Purchase a list of record label and music industry contacts, or build one using specific Internet research. Contacts will help connect your rising teen pop star with producers, musicians, radio stations and media outlets that will all play a major role in increasing her chances for a lifelong singing career. Teen singers should develop "triple threat" talents (acting and dancing along with singing) to maximize their career opportunities. Consider purchasing a guitar or keyboard for your young singer, along with DVD lessons for them to her to play on their own time. Singers who also play instruments, as well as write their own songs, sustain longer careers. Also, connect with an entertainment attorney who will protect your teen's rights and hammer out contract details. Be wary of unscrupulous music managers that ask for fees upfront. Management is always paid a percentage of their clients' earnings, thus only getting paid when their artists do.